"The way the band playfully tinkers with the art rock affectations of Yes, King Crimson, Genesis and Emerson, Lake & Palmer in such an unpretentious manner is a big reason why Fly By Night is so charming to this day." "Rush’s second album is the point where most fans get serious about them ... there’s clearly something special taking shape and (Peart's) performance here is little short of brilliant." "... the first Rush masterpiece, where all the prime elements made their initial convergence, most especially those elements contributed by Neil Peart ... the whole band’s performance was instantly elevated ..."
Fly By Night, released in 1975, is a pivotal release from Rush's early career. The band's second album, it marked the debut of Neil Peart as drummer and lyricist for the group, his writing already very much in evidence here. 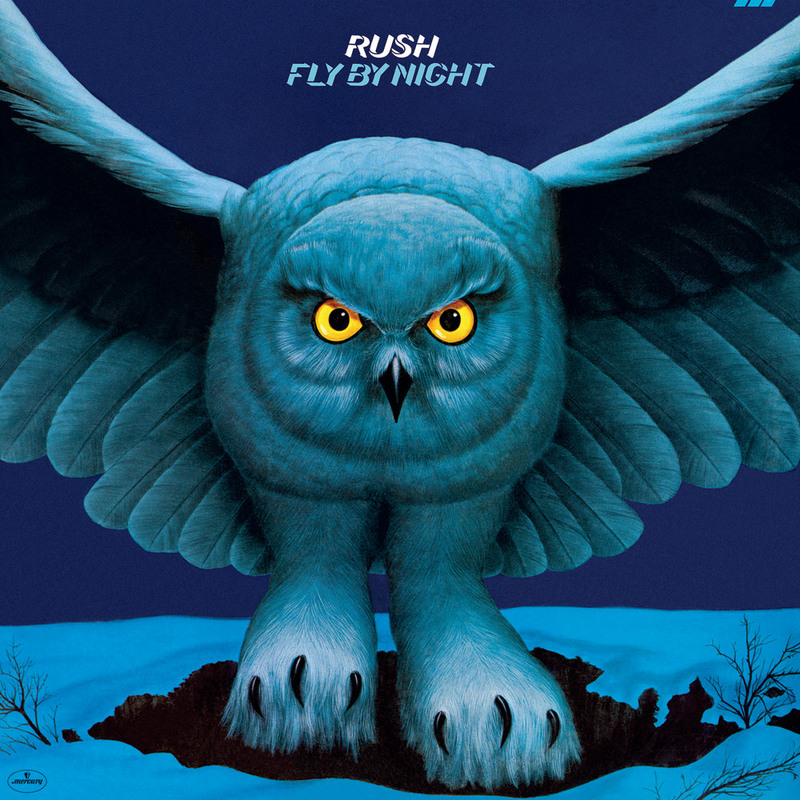 Fly By Night is also the first Rush album produced by Terry Brown, with whom the band would continue to work on their next several records. The mystical nature of Peart's lyrics combined with Brown's stunning production brought Rush to the attention of a much broader audience than the band's debut; the title track becoming Rush's biggest single with sales exceeding five million copies. The album has since been certified platinum in both the US and Canada.